This page will give you an overview of the 8 different Charting Platforms DecisionBar is designed to work with. When installed on your computer, DecisionBar “overlays” the charts generated by these platforms and pinpoints profitable trading opportunities with incredible speed and accuracy in real-time, just as they occur. You can add most of the DecisionBar compatible platforms listed below at little or no cost during your trial period. Please take a few moments to look over the trading platforms listed below to see which has the features that suit you the best. While each has their own unique features; most have the standard features most successful traders use daily. If you are new to trading … you will need to choose a charting platform. You will make your choice from the selection of platforms below as you go through the simple DecisionBar ordering process. If you need help choosing a charting platform, simply call or email our office. If you are currently trading and you are already using one of the platforms listed below … there is no need to give up your current charting platform or change brokers. You will only need to install DecisionBar on your computer to get it working for you instantly. Once you become a DecisionBar member, our support team can help you with the installation. 1: You may find that your broker's data feed is compatible with one of the charting platforms below. NinjaTrader and MultiCharts are compatible with many different broker's data feeds. 2: Simply use the new web-based version of DecisionBar, powered by TradingView.com, alongside your current platform in another window or on another computer screen. 3: If options 1 and 2 don't work for you, there is still no need to give up your current broker or charting platform, however you will have to add a charting platform compatible with DecisionBar. Doesn't it make sense to add DecisionBar® to your trading arsenal as soon as possible? How often do you stumble upon a tool so powerful it could change the way you view price charts, and add clarity to your trading, virtually overnight? DecisionBar compatible charting platforms are described below. Free! DecisionBar for NinjaTrader now includes a scanner that can scan a list of symbols for DecisionBar signals in real time. A real-time web-based version of DecisionBar powered by TradingView.com. TradingView.com is an exciting, new-generation web-based charting platform, offering professional quality charting as well as free, real-time data for virtually thousands symbols including stocks, Forex and ETFs. A basic TradingView membership is FREE!! TradingView has most of the functionality of an advanced, desktop charting platform. MultiCharts is a very robust professional charting and automated trading platform, designed for futures, stock, and forex traders. A key feature of MultiCharts is the compatibility with industry-standard TradeStation® EasyLanguage®. EasyLanguage® studies can be customized, optimized, and back-tested prior to implementing them on the real market. MultiCharts includes very powerful and flexible charting that handles multi-symbol and multi-time frame charts, and works with most leading streaming data vendors. Time-based and Count-based, as well as Bid, Ask, or Trade-based data series can be mixed within the same chart. 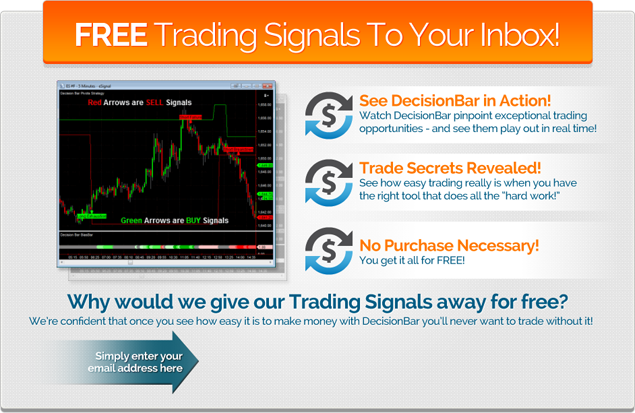 FREE TRIAL - CLICK HERE for a special offer for DecisionBar Traders. Make sure to mention "DecisionBar" to receive a SPECIAL PROMOTION not available through the website. Certain restrictions apply. Some other well known brokers are also compatible. For a more complete description of MultiCharts, click here. MultiCharts .NET combines the best features of MultiCharts with the robust potential of the .NET framework. Engineered specifically for programmers, users can create strategies and indicators in C# and VB.NET. Watch a short intro video to get an overview of the .NET Editor and tight integration we created with Visual Studio. Remember, you can choose between 32 and 64-bit versions for the one that suits your needs best. AMP Futures is the CHEAPEST Futures Broker. NO Gimmicks. NO Fine Print. NO Limited Time Offers. Now as low as $0.15 per side. Add your own FREE version of MultiCharts.Net and FREE data and you have an unbeatable combination. 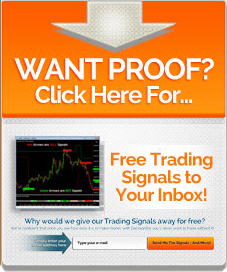 eSignal is a premier quote and charting platform for professional traders. It includes its own data-feed, quotes, charts and a few basic technical studies and drawing tools. You can add other options like Level II Quotes, Real Time News and more Advanced Studies for an additional charge. eSignal can provide real time data for most markets world wide. To learn more about eSignal and to sign up for a 30 day risk-free trial, Please visit the eSignal website at https://www.esignal.com. MetaTrader 4 is a forex charting, analysis and trading program that includes free, real-time forex data. MetaTrader is provided by many forex brokers free of charge. Fully functional versions of MetaTrader are also available to anyone who opens a free demo account with a MetaTrader compatible broker. Now Available!! MetaTrader 5 is the long awaited, completely re-written update from the MetaQuotes people. Like MT4, it is a forex charting, analysis and trading program that includes free, real-time forex data. MetaTrader 5 is provided by just a few forex brokers so far. DecisionBar for MT5 has been completely rewritten and is offered as a seperate program from MT4. In other words, although our policy on switching platforms is quite liberal, there may be a fee involved in switching from Mt4 to MT5, just as there may be a fee involved in switching between other charting platforms. This fee is only applicable to switching Lifetime Licences after one year. Please check out our Terms and Conditions to learn more about our policy on switching between platforms. 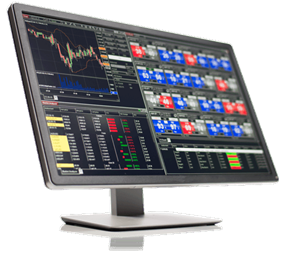 Fully functional versions of MetaTrader 5 are also available to anyone who opens a free demo account with a MetaTrader 5 compatible broker. To sign up for DecisionBar for MetaTrader 5 you must send an email to support@decisionbar.com with "Sign-up MT5" in the subject line for sign-up instructions. TradeStation is a brokerage, and you must open a trading account to use their platform. The TradeStation platform is free for active traders, but costs $99.95/month if you don't meet a minimum activity level. MetaStock® software for technical analysis brings more than 10 years of experience in building charting software for traders. MetaStock® has its own data feeds for stock, futures or forex. For more info about MetaStock, please Click Here.